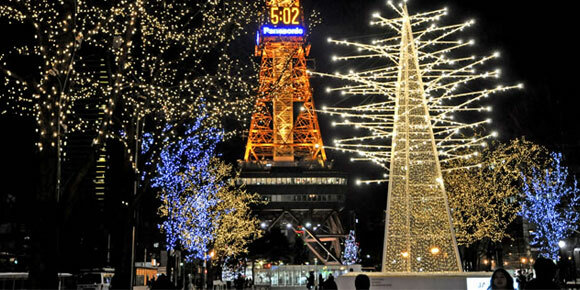 Along with the Sapporo Snow Festival, this artistic light display has become a well known reminder of winter. Now in its 33rd year, the festival grew from one location and 1,000 light bulbs to become known throughout the country. Objects themed around outer-space and Christmas shine splendidly along with decorations lining the trees along the road. A Christmas market is held at the same time as the festival. Approx. 1h30m from Haneda Airport (Tokyo) to Shin-Chitose Airport (Sapporo). From Shin-Chitose Airport, 40 min by the JR Line to Sapporo Sta.